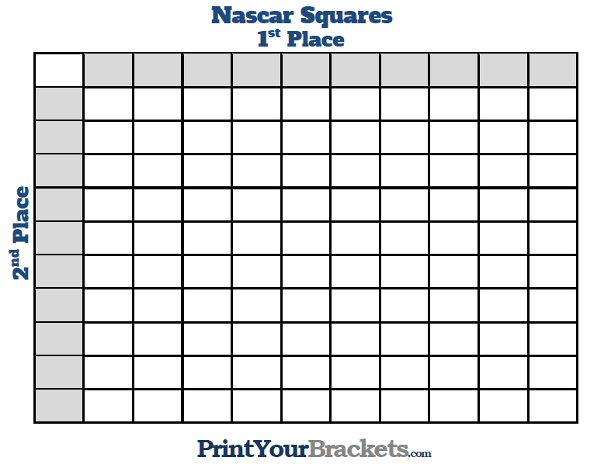 The 100 Square Nascar pool is a spin-off of the popular Super Bowl Squares pool. The difference is you will be using either the 1st and 2nd place finisher's car numbers or starting positions. 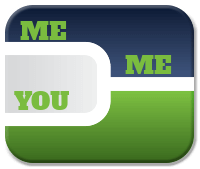 Print the square grid from above and take the grid around to family, friends, and co-workers, having each participant place their name in the square or squares of their choice. Once all of the squares are full it is time to set up the drawing. This can be done in many ways, listed below are a couple of examples. After determining the drawing method, draw the numbers one at a time placing the numbers from left to right starting with the first gray square box in the top row, continue across the top row until the numbers are gone. For this pool you can use either the 1st and 2nd place finisher's car number or you can use the starting position of the 1st and 2nd place finishers. I prefer the latter as it distributes the numbers more evenly. As with any other square pool, if the number is double digits you will be using the last digit. 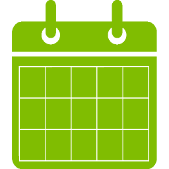 Find the 1st place finisher's car number or starting position in the top row, then find the 2nd place finisher's car number or starting position down the left column. The square intersecting these two numbers would be the winning square. 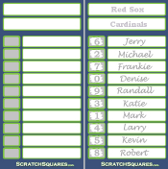 To make more than one winning square, you could also use the reverse of the numbers or even squares that touch the winning number. Another option would be to have a winning square for the car numbers and another winning square for the starting position.